Cross grain plywood is where the growth lines run diagonally rather than parallel to the long edges of the board. This plywood type is suitable for kitchen cabinetry and is considered more durable than solid wood. It means that you can count on cabinets that will serve you for a long time. With flexible plywood cross grain, customers get specially constructed wood with the ability to bend. This bendy plywood is perfect when making furniture that has unique shapes that require curves. We have the best quality flexible wood cross grain for all your woodworking needs. The flexibility of this plywood means that furniture won’t change shape or dimensions after a while due to heat exposure. Your cabinets, living room décor pieces or office furniture will keep looking good for a considerable while. If your woodworking project involves complex designs where solid wood won’t suffice, then come to us for flexible plywood. Our products offer style and colour versatility so that you are not restricted in your remodelling or new construction. You can use flexible cross grain plywood for a host of pieces such as reception desks, decorative wood pieces and cabinetry. 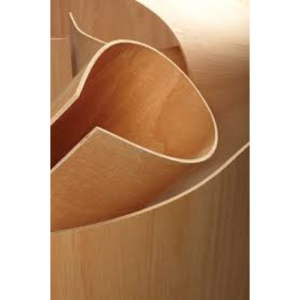 Let your woodworking project stand out with our superior standard and durable, flexible plywood. For furnishing your home, hotel, or office space, use our stylish, flexible wood panels.